Washer extractor is a very efficient combination of conventional washing machine and hydro extractor. Keeps washing area dry and clean. Machine is PLC controlled which helps to control different programs of wash cycles, hence minimizing human supervision. This machine has open pocket cylinder and is self balancing. Extremely versatile machine that can be used in commercial laundrindustries,hotels hospitals and dry cleaning shops. 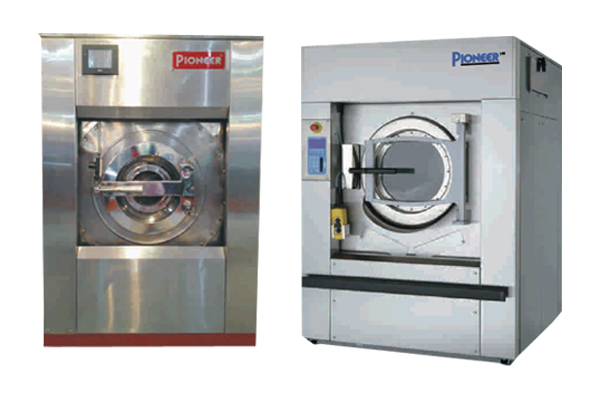 Pioneer's washer extractor is a very successful machine designed for both high and low speed extraction.